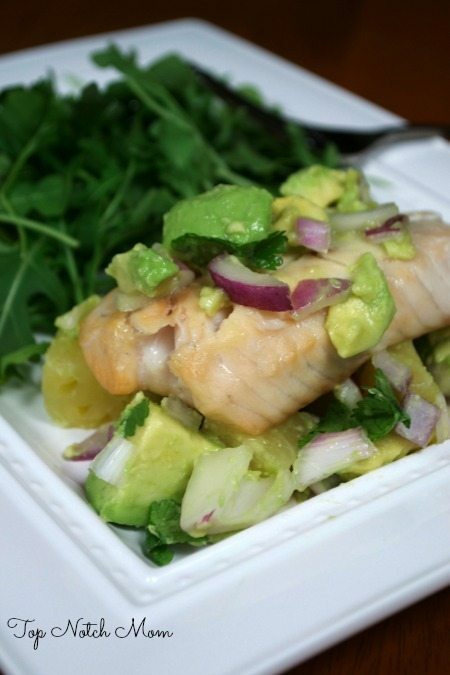 Hey it’s Doree here today from Top Notch Mom sharing my Tilapia with Pineapple Avocado Salsa recipe. It’s been a while and I am so happy to be back contributing for Juggling Act Mama. I recently started including at least one seafood dish a week into our menu. I like to keep all my meals quick and easy and this was just perfect for that. What’s great about this recipe is that you can use any type of fish you’d like. If you’re like Ang and not much of a seafood eater, then this salsa is perfect paired with chicken or steak as well. The pineapple and red onion balance each other out so nicely. Plus the creamy avocado is just so delicious in this salsa. Plus with all this cold weather, it’s nice to have something that reminds me a little of tropical weather! I’ll just close my eyes and pretend I’m eating this pool-side at some fancy Caribbean resort. Once your tilapia is finished you can leave it whole or chop it up into bite size pieces. 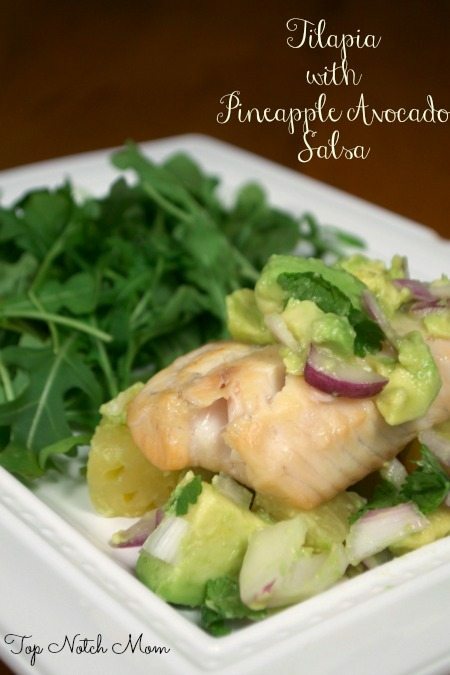 Serve your tilapia with arugula and topped with the pineapple avocado salsa. Enjoy! 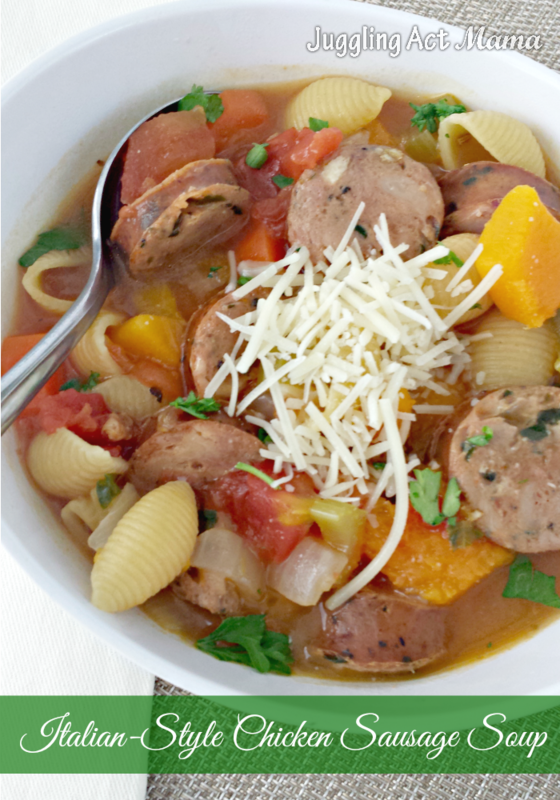 Need more week night dinner ideas? Try one of these delicious dishes!